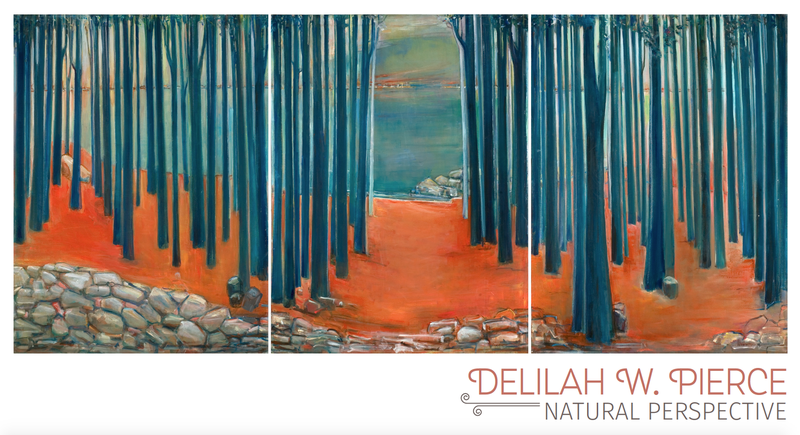 College Park, MD August 20, 2015 – Beginning September 27, 2015 Delilah W. Pierce Natural Perspective opens at the University of Maryland University College Arts Program Gallery. The show runs to January 3, 2016. On November 8, 2015, from 3 pm to 5 pm, there will be a panel discussion and reception at the College Park Marriott Hotel & Conference Center featuring Floyd Coleman, Ph.D., Art Historian, Jerry Langley, Art Collector, Author, Wanda Spence, Great-Niece of Artist, and Myrtis Bedolla, Owner, Galerie Myrtis. 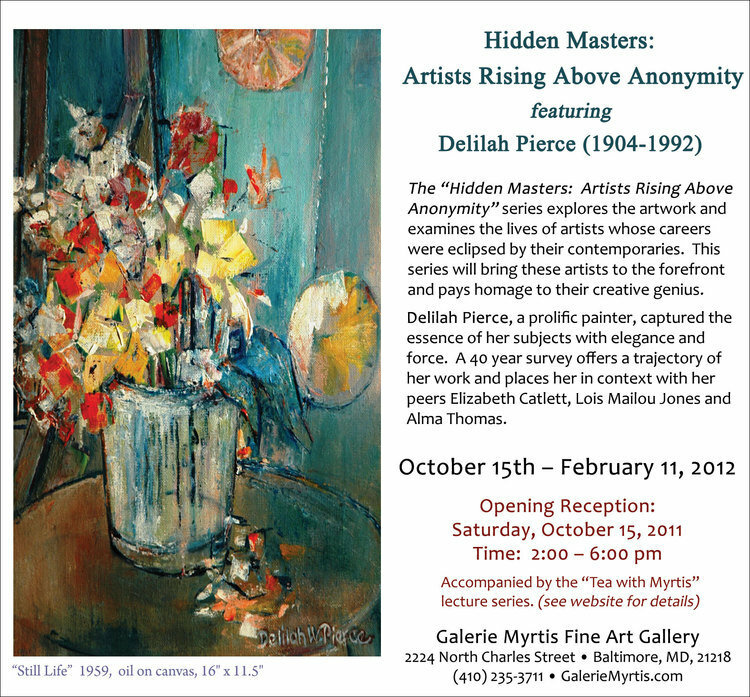 Join the Arts Program at University of Maryland University College for an art exhibition showcasing the works of Delilah W. Pierce. Delilah W. Pierce also worked in D.C. public schools for more than 25 years to provide artistic training to the next generation of artists. 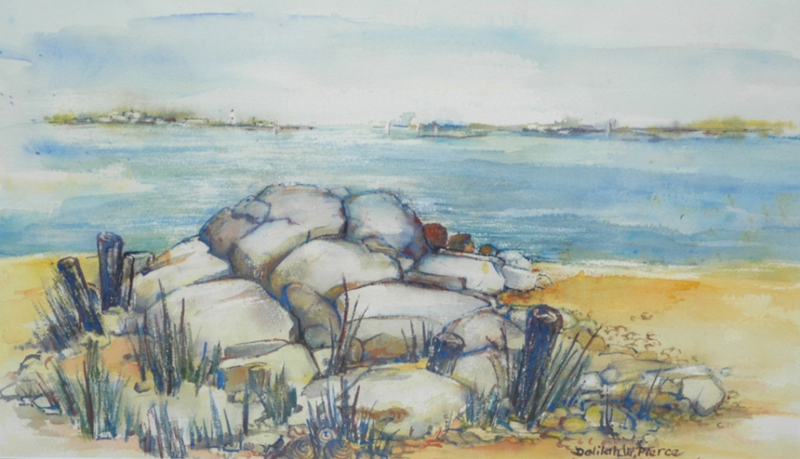 You are invited to experience the art of Delilah W. Pierce, as well as take a journey through the life and artistic expression of one of Washington, DC’s rediscovered artists, educators, curators, and advocates. To RSVP: www.umuc.edu/artrsvp. artists to the forefront and pays homage to their creative genius. Elizabeth Catlett, Lois Mailou Jones and Alma Thomas. lecture series. Click to see archived videos.